With the housing market improving and home values increasing, it is a great time to consider a home improvement project. One particular project that gives you the most bang for your buck is the addition of custom pavers. Adding customized paver stones to a home’s exterior is a relatively inexpensive home improvement that instantly boosts aesthetic appeal, as well as gives your home a high-end look. Decorating your home’s exterior with custom pavers is a practical architectural accent that will greatly improve the home’s outdoor appearance while giving a visual dramatic flair to your property. If you wish to further improve your home’s outdoor area, custom pavers can also be incorporated within a walkway, patio, porch, driveway and/or garden. Whether you add custom pavers to the frontyard or backyard, these stone beauties are certain to give your home an impressive rich look while creating a beautiful custom landscape. And because Realm of Design’s pavers are completely customized, the unique outdoor appearance they afford your home, cause the property to stand out even more, hence, further increasing its curb appeal and value. 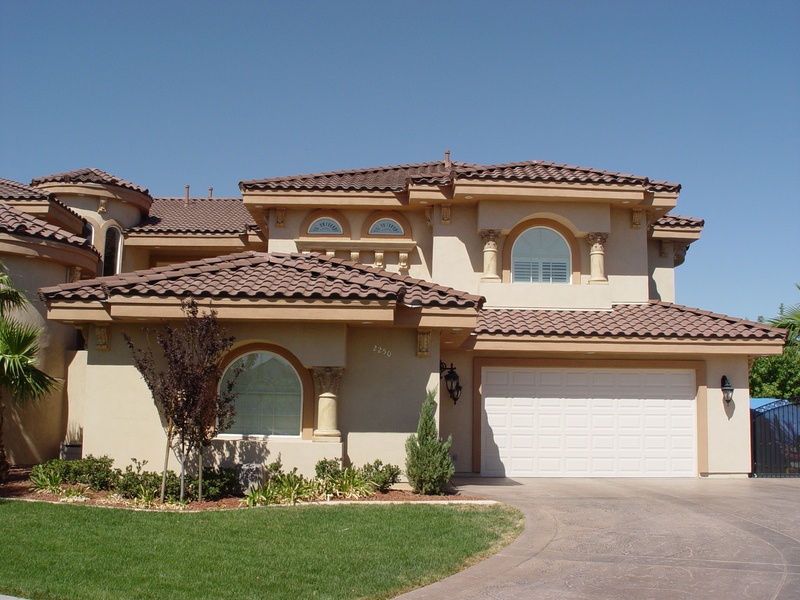 The newly enriched outdoor appearance of your home will not only be visually appealing to you, your neighbors and potential buyers, but the luxurious look will reflect style, class and sophistication. So jazz up your house with a visually impressive paver project– It’s an excellent low-cost way to assist your property in reaching its full high-end potential. Realm of Design can creatively design pavers to fit any home style. With the popularity of homeowners opting to decorate their homes with a throwback to the older days, the Old World design style is becoming a modern trend that may be here to stay. People are opting for this pleasing rustic design style because it is comfortable and inviting, yet elegant. Basically, homeowners want to create an ambiance with that “lived-in” feeling but have the space still look sophisticated. There are a few design essentials to achieve Old World style within your home. The most significant element is to affix exposed wood ceiling beams. (Realm of Design recommends Faux wood ceiling beams because they are light-weight, durable, easy to install and less expensive than genuine wood.) The natural look of a dark wood finish gives a warm coziness to the interior. Another important facet to acquire the style from the past is to add architectural arches to the windows and/or doorways. The shaped arches not only gives an Old World appearance, but characterizes elegance and sophistication. 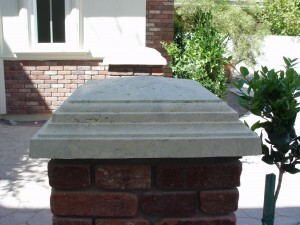 To further enhance the charming style, incorporate ornate, sculpted architectural stone pieces. 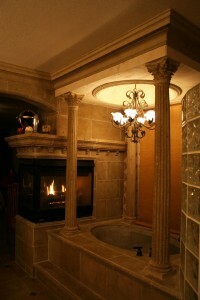 This can include fireplace mantels, surrounds and molding. Along with stone, forged metal accents with an aged finish will also increase the dwelling’s natural refinement. To exemplify the look, combine the architectural elements with rich wall colors, over-sized leather furniture and velvet fabrics. Whether it be Old World style or another, when it comes to decorating, (interior) design style trends follow the same rules as (clothing) Fashion style trends: Today’s styles are inspired by the past and style history always repeats itself. 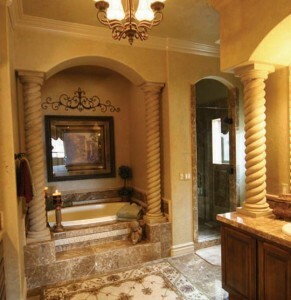 When most people think of a bathroom, luxury isn’t typically the first word that comes to mind. But with the bathroom being one of the most popular rooms getting remodeled in 2013, we’ve noticed homeowners are opting to upgrade the room into their own luxurious spa. 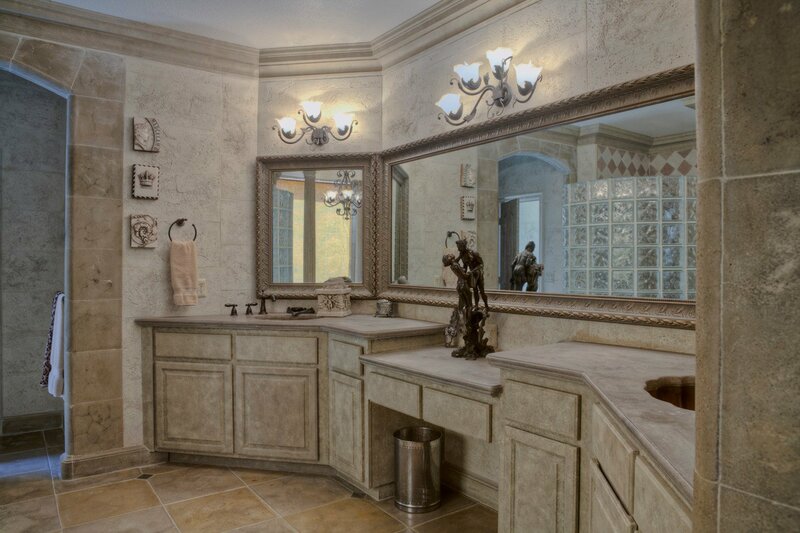 The transformation of the powder room into a pamper room begins with a grandiose bath design. 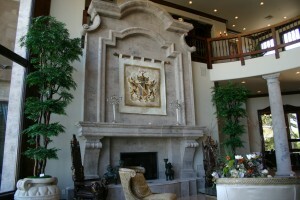 This will assure a sumptuous room that is fit for a king or queen. But, how ever exquisite you decide to go with your spa-to be, keep in mind that it should ultimately be functional and comfortable, as well as sleek. 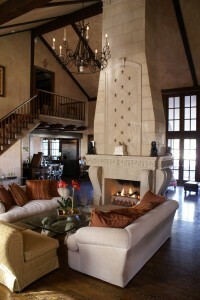 Next, to enhance the room’s tranquil atmosphere, add a dramatic custom stone fireplace. A beautifully detailed fireplace surround and mantel not only jazzes up the space aesthetically, but it will create a relaxing ambiance. Because this striking architectural element is elegant and sophisticated, it’s an important piece in order to give the space that high-end chateau feel. 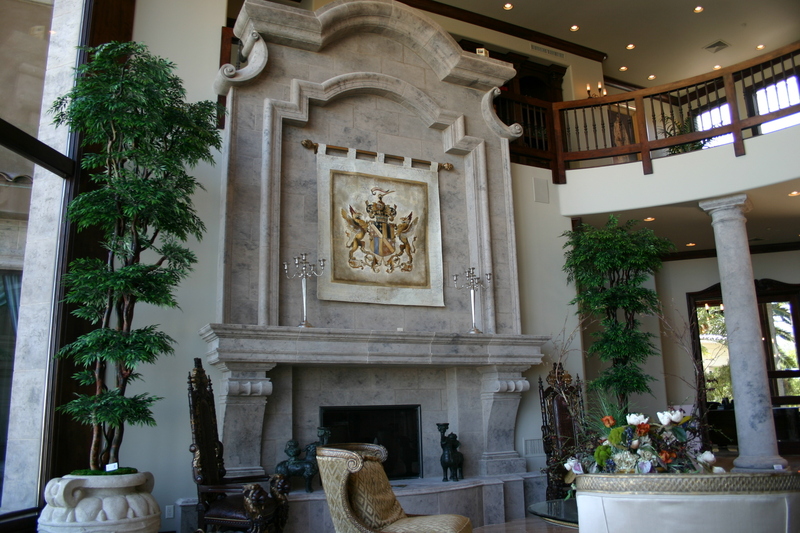 Additional architectural elements such as custom vessels, columns, counter-tops and artwork increase texture and refinement to your personal fortress by characterizing richness. Because your newly transformed diggs should not only look impressive, but inviting, decorate with candles, candle-holders, flowers and urns to further compliment the space. Your living room may not be quite an actual “Million Dollar Room,” but there is no reason that the space can’t be made to look like one! 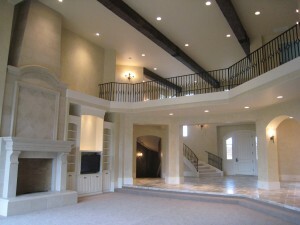 It’s nice to dream about having endless funds to remodel and/or decorate your home. But for most homeowners, reality doesn’t quite allow that. 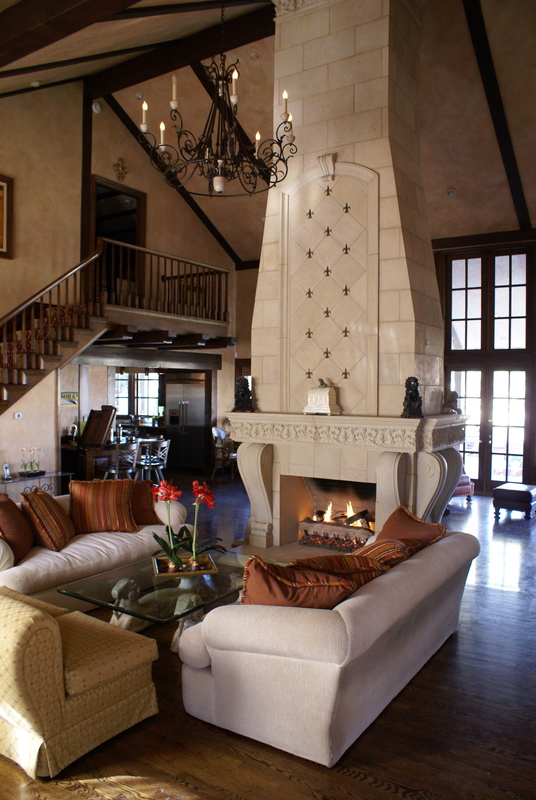 So for those working within a budget wishing to transform their living room into a makeshift Million Dollar Room, the best place to start is by adding an essential key element–a divine fireplace. 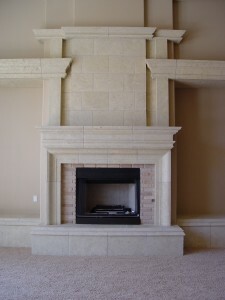 The fireplace is the focal point of a living room and can make or break the dwelling by setting the tone of room. 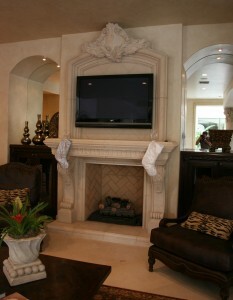 Being the area’s main attraction, it is recommended that a fireplace mantel and surround should be custom designed to compliment the look and feel of the room, while creating an elegant, rich statement. This will assure that your centerpiece becomes a stately showpiece. Once the fireplace surround and mantel are completed and if your budget permits, other architectural accents can be added to enhance the luxurious “Million Dollar Room” look. Architectural elements such as over-mantels, columns, molding, arches, beams and balustrades magnifies a room’s splendor. Furthermore, embellishments including wall cartouches, sculptures and custom furniture contribute to refine the room’s expensive look as well. So even if you don’t have a million bucks to spend on your living room, a few key pieces can certainly make it look like you did! With the big push for residents and builders to “Go Green” and reduce their carbon footprint, GreenStone has become quite a popular product in the building industry. But first, let’s fill you in on what GreenStone is (for those who may not have heard of the product already.) GreenStone is a patented environmentally-friendly building material that is made from 100% recycled glass and fly ash—as well as a few other renewable ingredients. 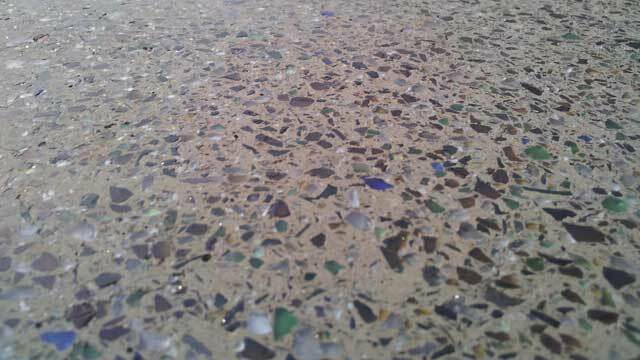 This eco-friendly material can be used to replace standard concrete in virtually any project. The glass that is utilized and upcycled into GreenStone comes primarily from the discarded alcohol bottles from the Las Vegas Strip. In fact, this patented green architectural stone has already saved over a half million beer bottles from being landfilled. Since its official launch in early 2012, GreenStone has received quite a bit of media attention and was featured on DIY and HGTV. The biggest project that put GreenStone on the map was the construction of the Morrow Royal Pavilion in Las Vegas – Realm of Design’s manufacturing facility. The building project utilized the GreenStone material on its exterior which proved that the concrete replacement can be used on a large scale design as well as withstand the weather elements. It’s good to see the effort being made by individuals and corporations to be more eco-friendly and recycle instead of landfill. We’ve got a long way to go but the growth of GreenStone certainly is a good start! Tuscany is a region in central Italy that is historically known as the birthplace of the Italian Renaissance. 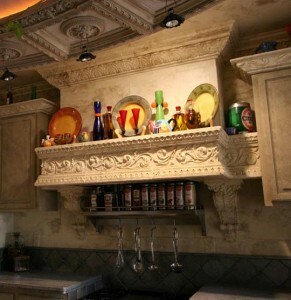 Tuscan style emerged as an homage to its historical region’s culture and traditions. It has remained a popular decorating style throughout the years because of its elegance, richness and simplicity. The Tuscan décor style, commonly referred to as “Old World Country Style,” is a combination of Old World and Mediterranean Style elements. These elements include natural materials from the Earth such as stone, metal and wood. This look is heavily influenced by nature and exudes a sense peacefulness, warmth and rustic beauty. The style is comfortable and can be achieved by incorporating architectural accents with aged stone, tile and wrought iron pieces. Exposed faux wood beams, architectural door arches and window shutters also add a touch of the Italian design style to a space—even if it’s on the home’s exterior. When Tuscan accents are paired with rich colors and natural textures, this enticing look will bring the spirit of Italy right to your home. 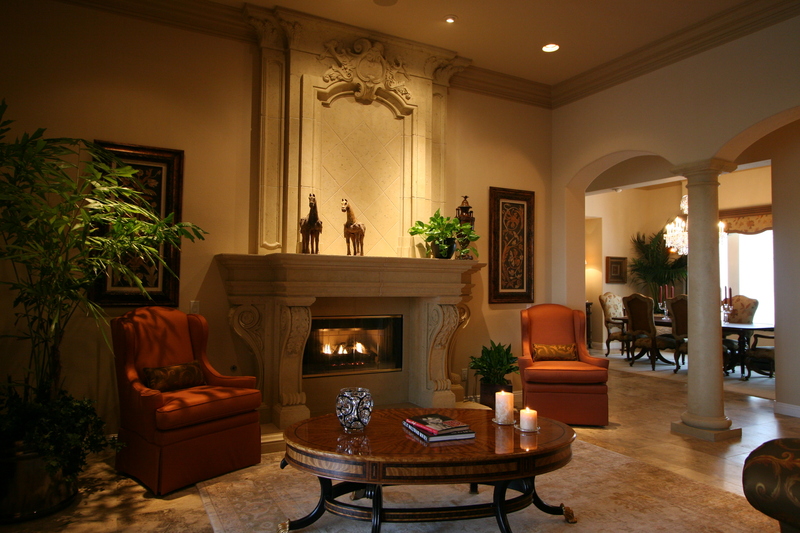 Whether it’s an interior or exterior—any space within a home will look beautiful and more appealing with the Tuscan style. 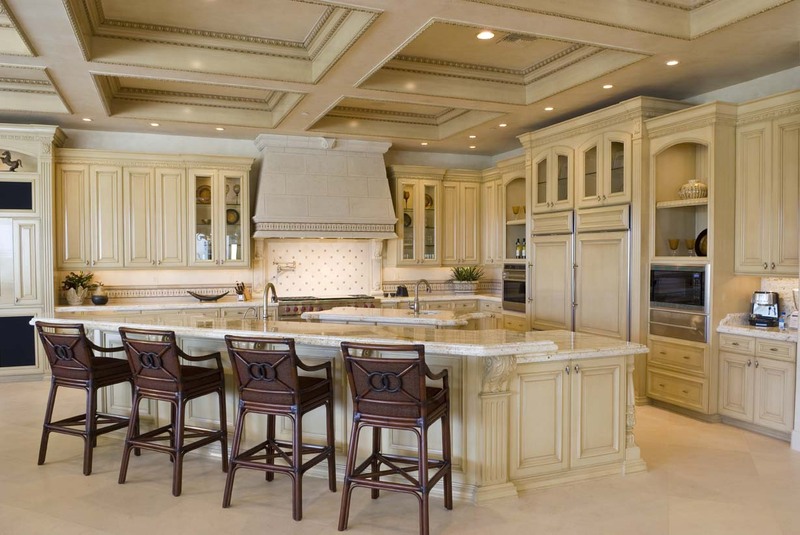 However, the kitchen has been one of the more popular rooms to showcase the Italian style because it is brings elegant charm to the heart of the home. By incorporating an aged stone kitchen hood and an artistic decorative backsplash, these architectural pieces help achieve the look and atmosphere of an Old World Italian bistro on the countryside that is warm and inviting. But most of all, it’s classy, stylish and tasteful. History has proved that homeowners enjoy basking in Italian culture and ambiance. 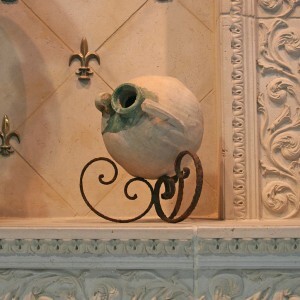 And Realm of Design Tuscan style architectural elements can help create /re-create those surroundings– all without leaving the comfort of your home. For starters, the outdoor fireplace creates an outdoor room which extends a home’s usable square footage and living space. This makes the expanded space the perfect location to enjoy a quiet cozy night outdoors or entertain guests. With a customized mantel and surround, the functional focal point will highlight your patio and instantly give your backyard an upscale look. And the rustic ambiance the centerpiece creates provides a relaxing environment which can be enjoyed during the day as well as night-time. These beautiful backyard accents not only add drama to an outdoor space, they also add value. 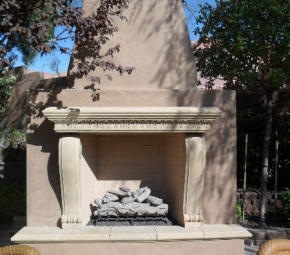 According to the NAHB, an outdoor fireplace adds an average of $3500 to a home’s value. Additionally, because of it’s elegant flair and value, a fireplace outside is one of the most sought after features in luxury homes. Furthermore, with more and more cities banning outdoor fire-pits and bonfires, especially in dryer climates, the outdoor fireplace is a practical choice. And with the ease of igniting gas burning fireboxes with the flick of a switch, these dream exterior fireplaces are a trend that is here to stay. If you are architecturally remodeling your home and have heard the term GRFC tossed around, you may be wondering what exactly it is. Well, GFRC is an acronym for Glass Fiber Reinforced Concrete. 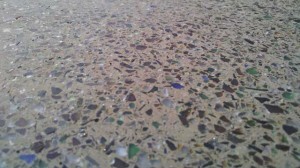 It is a composite material that consist of portland cement, fine aggregate, water, additives, color pigments and most importantly—GLASS. This popular glass reinforced material can be used to replace standard concrete in architectural designs, facades and elements. Even some engineering projects utilize GFRC in its designs because of the material’s many benefits. The main advantage of GFRC over standard concrete is the composite’s lightweight attributes. On average, GFRC is 10X lighter than concrete. 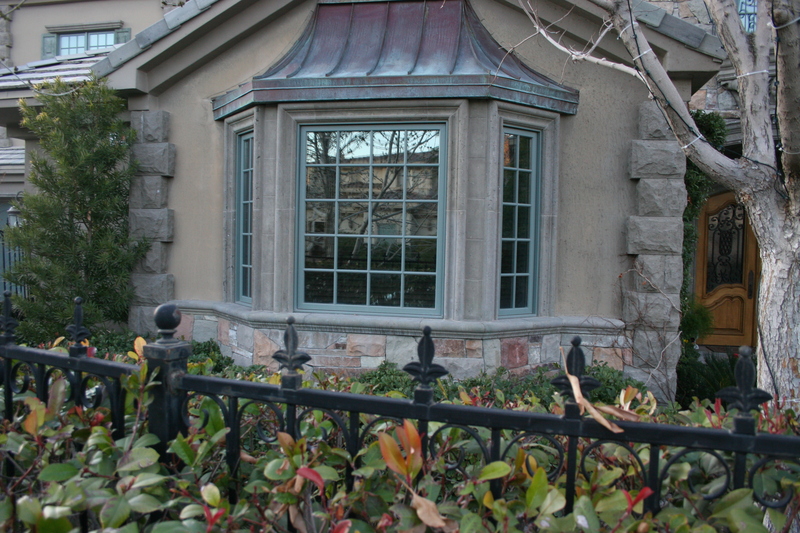 Because of the significant weight difference, the glass reinforced material is more economical, easier and faster to install. It also allows the composite to be cast in unlimited shapes and designs—including 3D designs. 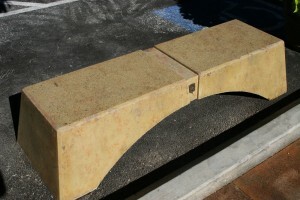 But this lightweight substitute for heavy concrete is not slight in the durable department. GFRC has proven to be extremely durable and resilient. It can stand up to weather elements like heavy rain, wind, scorching sun and salt-water environments. As for winter, it is even more freeze thaw resistant than standard concrete so it won’t shrink as much as regular concrete. 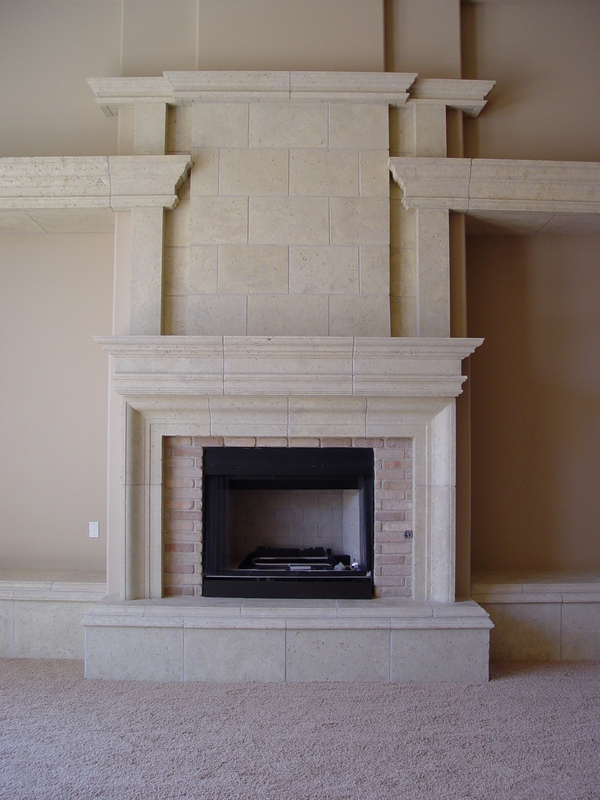 Other advantages of GFRC include that it looks completely natural– just like real carved stone or limestone (without the weight of course) and its flexible strength. Because of the mixture’s moldable nature, it can be cast into beautiful architectural designs that will last a very long time. Artisan designers appreciate the creative freedom the material affords them. 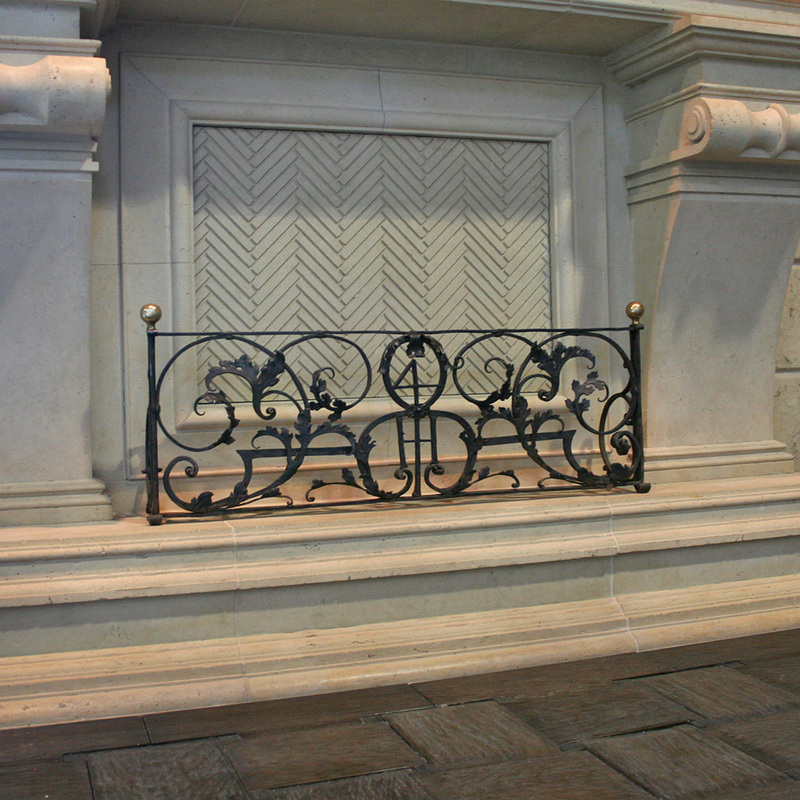 And because GFRC is cast / precast, it allows for fine artistic details to be sculpted into architectural elements such as fireplace mantels, kitchen hoods or any other custom architectural project. 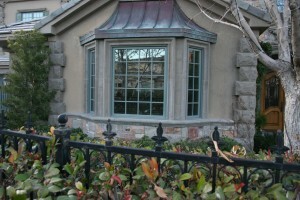 Common exterior architectural accents that benefit from utilizing GFRC are columns, copings, balustrades, wall caps and pavers. 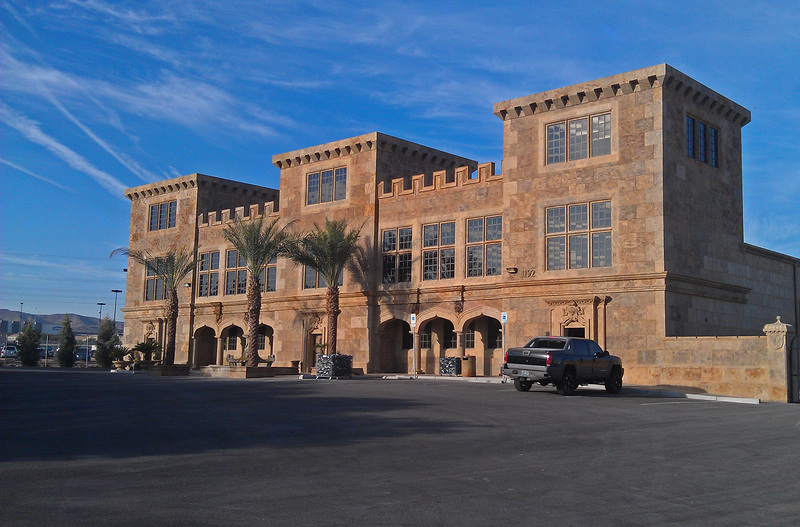 Realm of Design manufactures and incorporates GFRC, as well as our patented eco-friendly recycled glass material GreenStone, into our unique architectural pieces created at our Las Vegas facility. https://realmofdesign.com/wp-content/uploads/2019/01/DSC00484.jpg 1920 2560 Carla https://realmofdesign.com/wp-content/uploads/2018/12/logo.png Carla2013-07-16 21:04:572019-04-09 20:00:18WHAT IS GFRC? Antiques have grown in popularity and are considered timeless treasures which is why more and more home owners and interior designers are opting to include these historical pieces into their décor. 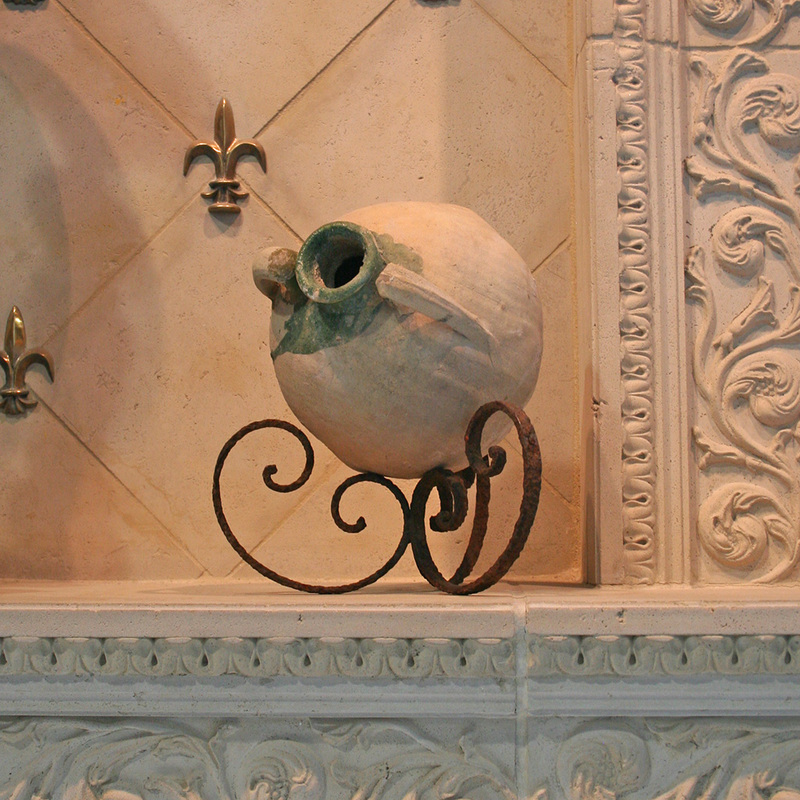 No matter what the design style of a home is, an antique will add endless chic style and class. By definition, an antique is a collectible object such as a piece of furniture or work of art that has a high value because of its considerable age. But it needs to include sparsity—not just age. Considering the scarcity of European Old-World era period pieces, these limited antiques are considered more of rare historical artifacts rather than just ordinary antiques. Therefore, they hold a higher historic, artistic and monetary value. Adding European flair by accessorizing your home with collectible Old-World antiques is a valuable and worthy investment. They never lose their luster and the rare classic treasures will continue to appreciate with time. Furthermore, each historical European artifact has an interesting and unique cultural story which makes the distinct showpieces an instant conversation starter. So enriching a space with these precious aged works-of-art not only brings charm and elegance to a room, but the dwelling will showcase an esteemed artistic asset that you and your guests can appreciate. In summary, these beneficial prized possessions embody luxury, sophistication and value with its rich authentic European heritage and beauty. The artistic and historical merit of these rare architectural relics are sure to turn them into treasured family heirlooms. 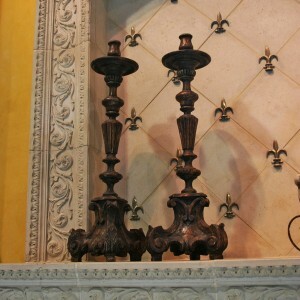 To view and/or purchase more European architectural antiques visit our ONLINE STORE. Summer is here! It’s the time of year that we spend quite a few interim hours enjoying our backyards. Whether we are BBQing, entertaining guests or just sipping on a cold one– our backyard becomes our summer sanctuary. And since so much time being spent in this extended living space, why not make it into your own personal resort area? To begin the transformation of your backyard digs, integrate architectural rock (or mock-rock as some may call it) around your patio and/or pool to create a dramatic visual effect. 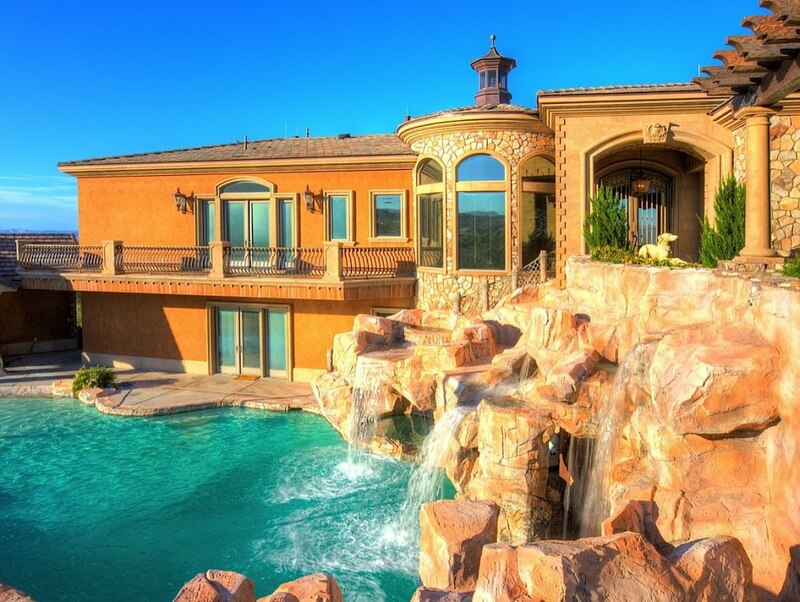 When architectural rocks are combined with a waterfall, this breath-taking outdoor architectural feature aesthetically turns your gathering place into a gorgeous 5-star retreat. The mesmerizing scenic environment will create the perfect backdrop while swimming or lounging in the summer sun. 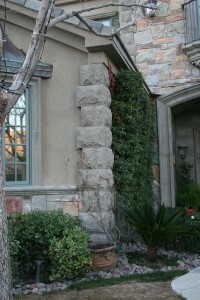 Architectural Columns will also visually enhance the outdoor haven. When added to a pool area, Grecian and/or Roman style columns are a distinct architectural detail that will add instant elegance and finesse. 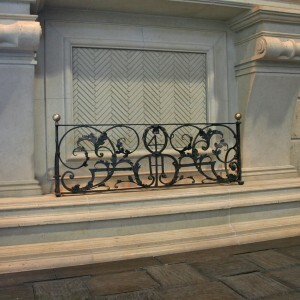 This romantic decorative detail turns your ordinary swimming area into a luxurious Roman Bath. 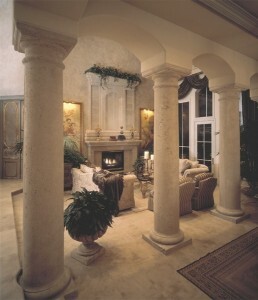 To further cultivate this outdoor space into an oasis, incorporate columns along the patio as well. 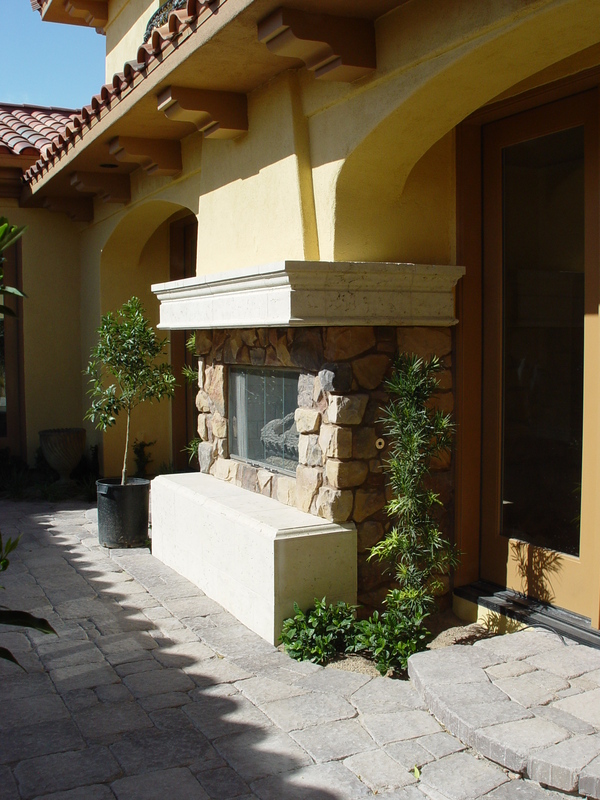 Custom architectural columns can transform any common courtyard into a beautiful veranda. 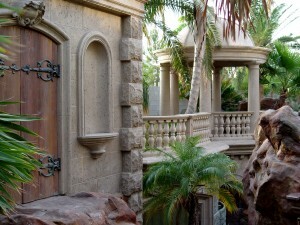 Outdoor decorative rock and columns can be custom designed by Realm of Design in Las Vegas to suite any taste or style. Your newly refined personal playground is sure to become your favorite living space—even after the sun sets.